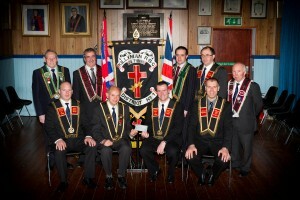 Killyman Royal Black District Chapter No. 1 present a cheque for £5000 towards the Grand Masters Charity Appeal for the Alzheimer’s Society. 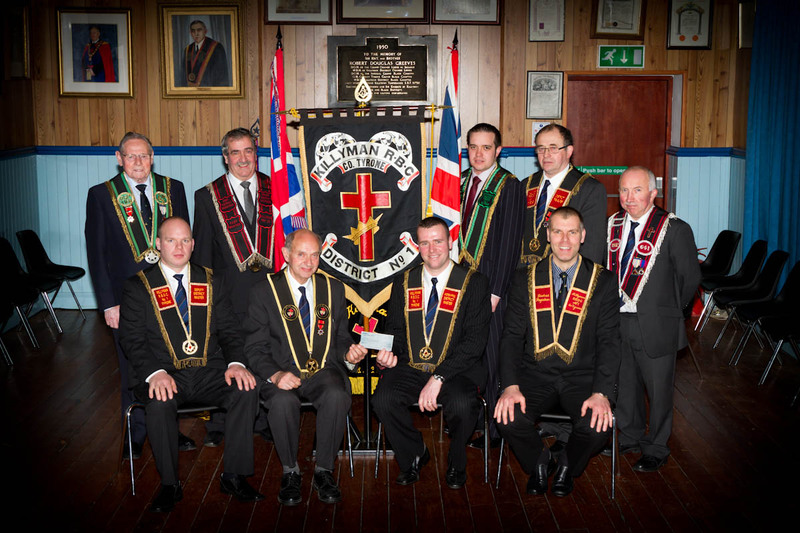 The sum was raised by the generosity of the Preceptories within the District and from the District Carol Services. The Worshipful District Master, Sir Knight Richard Emerson, wishes to express the thanks of the District Chapter to all those who organised and supported the various fund raising events.